Effect: Allows Aithet to fuse with one creature at a time, granting him weak forms of their abilities (Except he get's Delv's full power). And part of their appearance. Duration: 6 posts or until stopped. 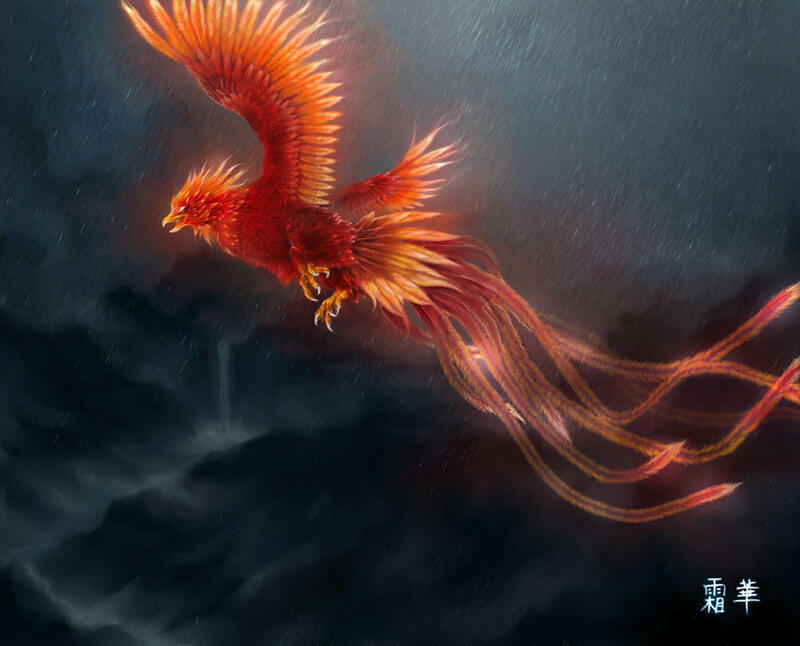 Abilities: Conjures a Phoenix that can fly, can heal wounds with it's tears, can shoot fire from it's beak. Stretching out it's wings can blind opponents and it can set itself ablaze. When combining with her, Aithet has a weaker form of it's powers. Personality: Quiet and protective of Aithet, with an instinctive ability to sense someone's danger ability, it keeps Aithet safe like a mother. Dislikes most people. Can be a ferocious attacker. Drawback: Can only be out for 8 posts and it drains energy from Aithet. And cannot be used at the same time as Sheena. Abilities: Conjures up an extremely strong and durable creature. It can control electricity to some degree. Can run very fast, jump very high, has keen senses, can climb rock walls. When Aithet fuses with Sheena, he is granted very weak versions of it's powers. Personality: A kind creature who is commonly misunderstood due to it's size. It like's playing and being pet, but if anyone lays a finger on Aithet it will not threaten to eat them. A huge beast almost as big as an average house. However, even Aithet cannot control it that well, so if often goes about by itself until it is needed. Drawback: Can only be out for 5 posts, and only once per topic. It also drains a large amount of energy from Aithet. Also - cannot be summoned at the same time as Hougia. If Aithet fuses with Delv when either Hougia or Sheena is out, they burst into energy and dissipate.